esthechoc birthday sleeves now available! How often have you found yourself struggling for new ideas for a friend, family member, colleague or loved one’s birthday gift? It can be difficult finding a birthday present that is unique, special and appropriate each year. For those looking for inspiration, the search is over. again an appealing idea for everyone. What could be more a more original and memorable idea than giving a birthday box of esthechoc as a birthday gift? 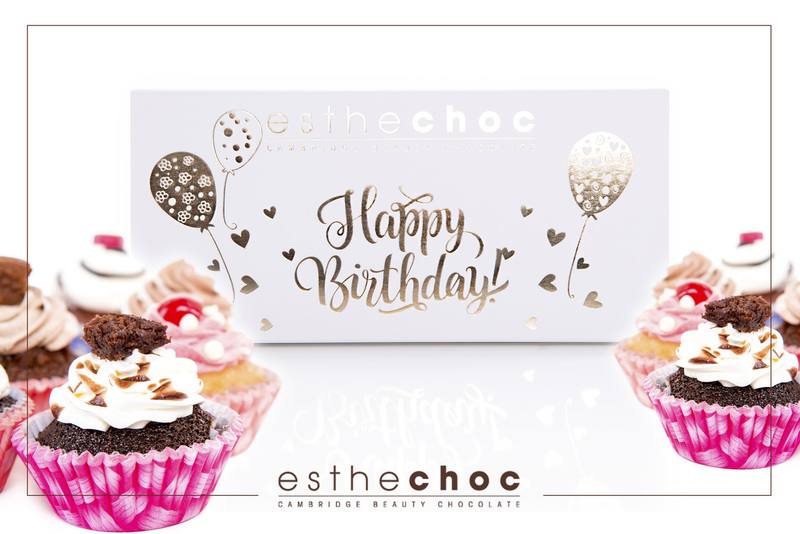 Now you can order esthechoc box in a beautiful Birthday sleeve for no extra cost! The birthday sleeves look elegant and attractive to anyone. Happy Birthday!